Do you have somebody on your shopping list that is nearly impossible to buy gifts for? Most of us have dealt with this sticky problem. We need a gift – but the recipient is one of those people who either has everything, is picky, or who refuses to give you the slightest clue about what they’d like. It’s enough to make a shopper pull her hair out! 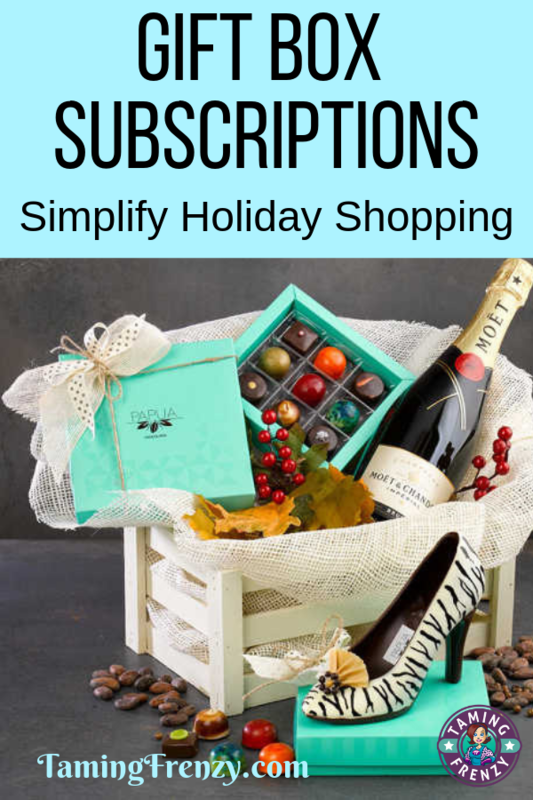 Fortunately, there are several gift boxes and subscriptions that allow you to tap into their favorite things in order to make gift giving a little less stressful. And we can all use little stress around the holidays. If I had the same problem today I would approach it very differently. Instead of getting out, hitting the stores, and struggling with every possibility, I’d simply tap into things I already knew they liked. For my mom, it would be jewelry or something to allow her to spoil her Basset Hound that would make her happy. For my mother-in-law, one of the other gift boxes would be more to her liking. The point is that I’d no longer spend hours shopping. I’d save myself the time, hassle, and frustration and shop from the comfort of home at my convenience. 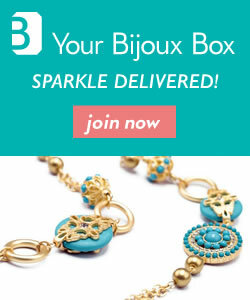 Your Bijoux Box – This jewelry lover will get three pieces of jewelry delivered each month to add to her collection. When you give this as a gift you’ve got several options as to the length of the subscription (which does not automatically renew at the end of the term). Perfume Surprise – This subscription includes both perfume and jewelry and has options of either one-month or six-month subscriptions. Very affordable at $24.99 a month. Lemon Drop contains gifts to pamper a special woman. Starting at $35 these look like good boxes for your mom, grandmother, or teen/young adult daughter. You’re also able to include a photo and note which makes this box even more personal. 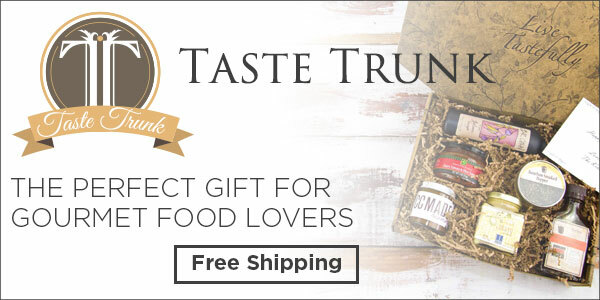 Taste Trunk – This may be just the gift for the BBQ or chocolate lover in your life. You can purchase either an individual gift box or a subscription. Let’s face it….everybody eats. Why not give something yummy? 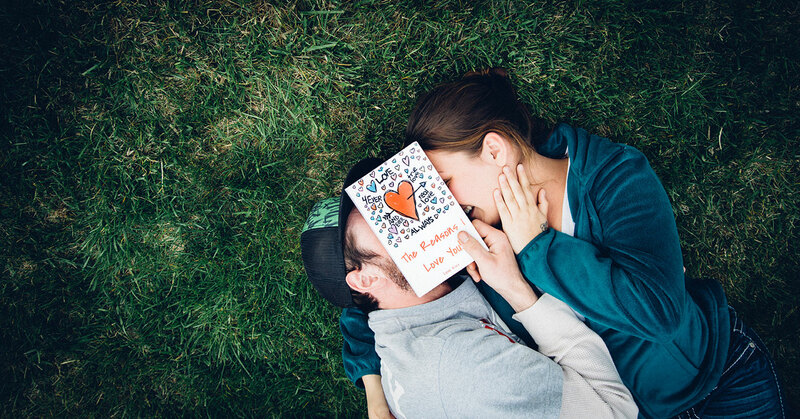 With Love Book you create a one-of-a-kind book that tells your special love story. You get to choose the cover, select the pages, personalize the characters and more. If you’ve got a sweetie who can be hard to buy for and who means the world to you, this might be the perfect gift. This company also lets you create books for parents, your best friend, or anyone who is special in your life. They even allow you to create a book in which you propose marriage – pair that with a ring box and you’d definitely have a Christmas to remember. BarkBox – is a monthly subscription that delivers toys and treats your dog will love. There are several options as to the length of the gift which does not automatically renew. So for your pet loving friend who has everything – including the pet – this may be a way to show that you love them AND their dog. If you like these ideas please share this article with your friends on Facebook or pin it to your favorite Pinterest board. And if you’re looking for a few ideas to put more joy into the holiday season, I’d love to send you a my liar of Ideas for Holiday Fun. You’ll get it when you sign up for the weekly email. Each week you’ll get links to the latest posts on the blog plus exclusive content and offers that you won’t find on the blog. What you won’t get is a crowded inbox. What’s your biggest shopping dilemma during the holidays? What Do College Kids Want For Christmas? Something for everyone Shelley! I love the jewellery box. Thanks for sharing at #overthemoon link party. I have not heard of any of these! Such a great variety!